There are no assignable Privileges related to Event Calendars. By Default, PU’s have an implied Privilege to “Create Event Calendars”. A PU who creates an Event Calendar is its default Owner. As Owner, a PU full edit capabilities. Any Administrator may change the Owner of an Event Calendar to any PU thereby giving full Edit Accses. 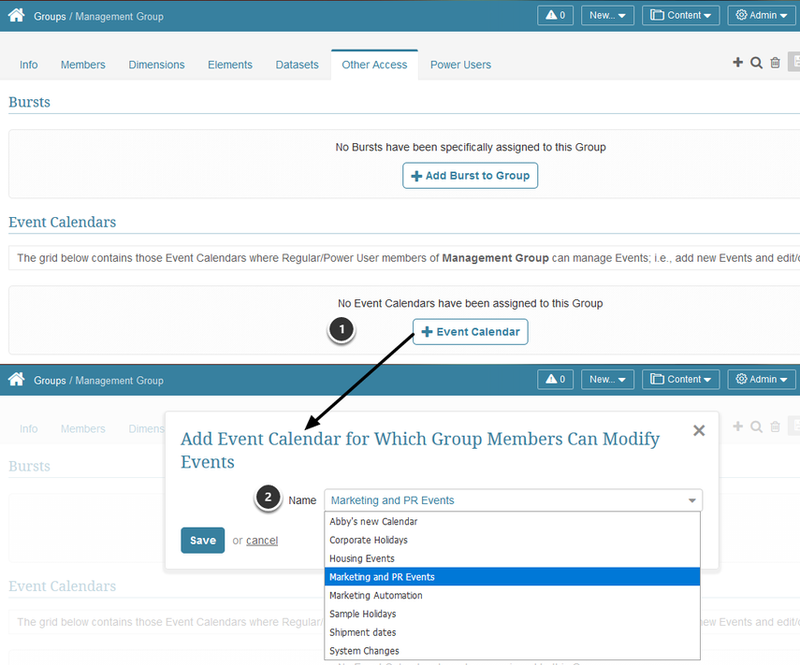 Only Admins may grant Permission to allow both Regular and Power Users to add or modify Events associated with a specific Event Calendar associated with an element from the element's Viewer. PU’s do not have the ability to grant these Permissions, even to Groups that the PU has Permission to Edit. The Owner setting is not visible to a PU that owns the Event Calendar. PU will only see those Event Calendars for which they are Owners. Admins will, of course, see all Calendars. 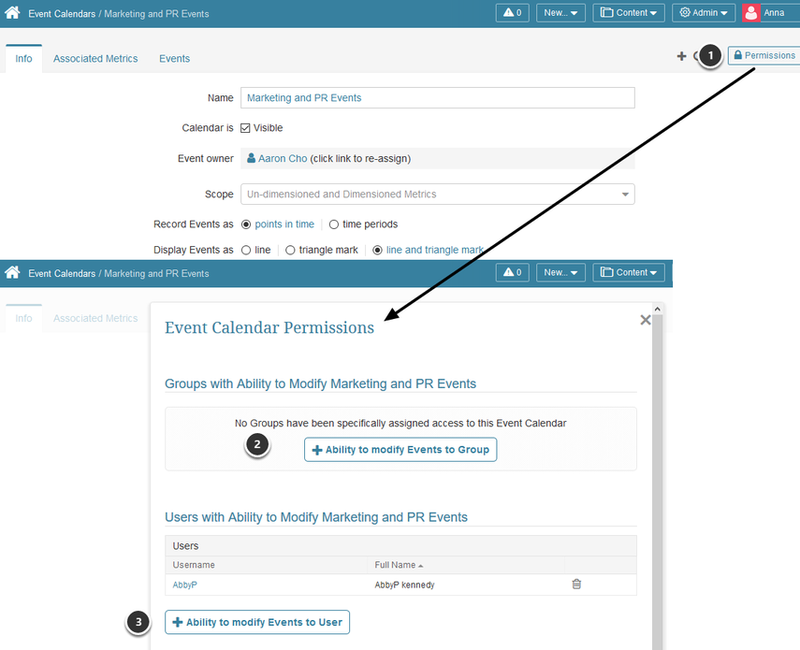 While PU have full Edit Access to the Event Calendars that they own, they will never see the Permissions button displayed. Select to add Permissions to a specific Regular or Power User. NOTE: There are no restrictions on selection any User to modify or add Events. PU’s do not have the ability to grant Permissions to Groups or other users, even to Groups that PU has Permission to Edit. 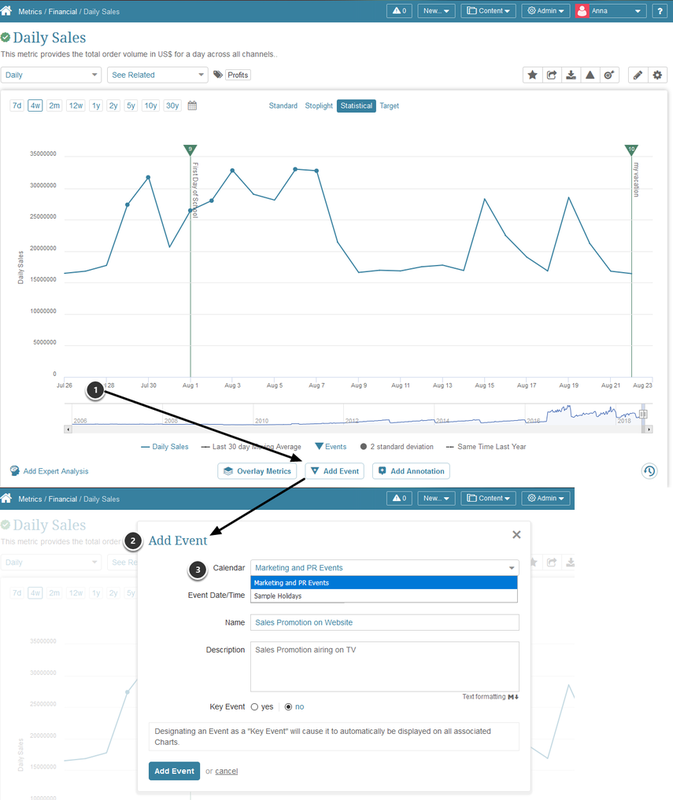 The Add Event button will only display when the Metric has been associated with one or more Event Calendars via the Event Calendar Editor. When clicked, the Add Event popup opens. 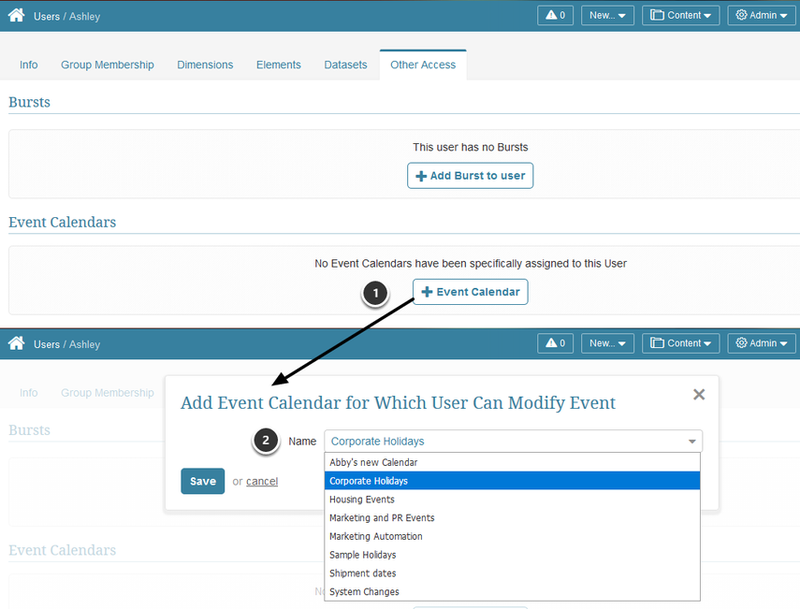 The Calendar drop-down list contains all of the Event Calendars associated with this Metric and for which the User has Permission to Add Events.